ANSWERS Book Reviews » Blog Archive » "Teach Yourself: Blogging"
This is an excellent introduction to blogging, easy to read and understand. It is particularly helpful if you are just starting out. 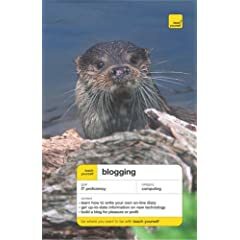 The book has detailed instructions on how to begin and set up a blog with Blogger or with TypePad if you choose.